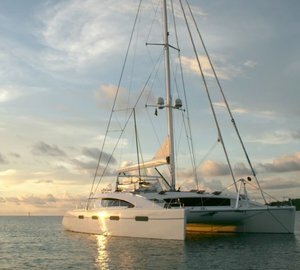 Akasha is a 76ft Matrix Catamaran built in 2005. 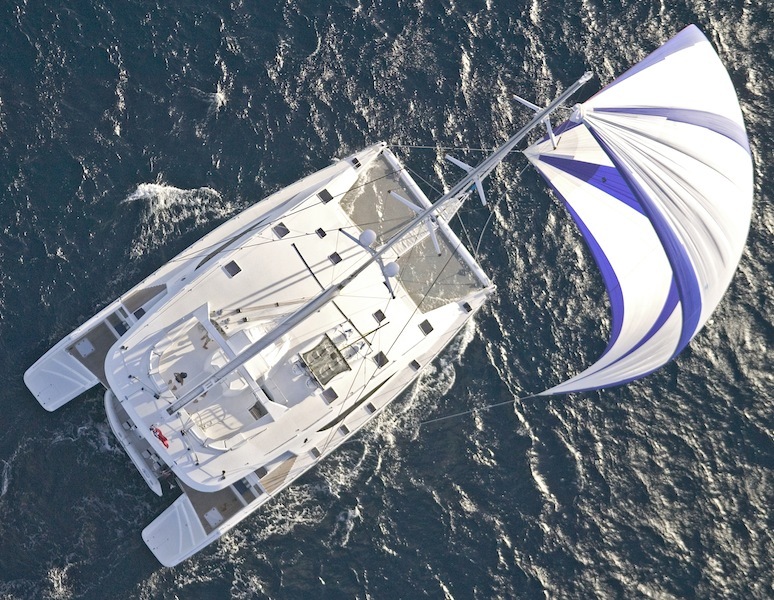 She is a futuristic catamaran and she heralds a new era in luxury sailing yacht charter. 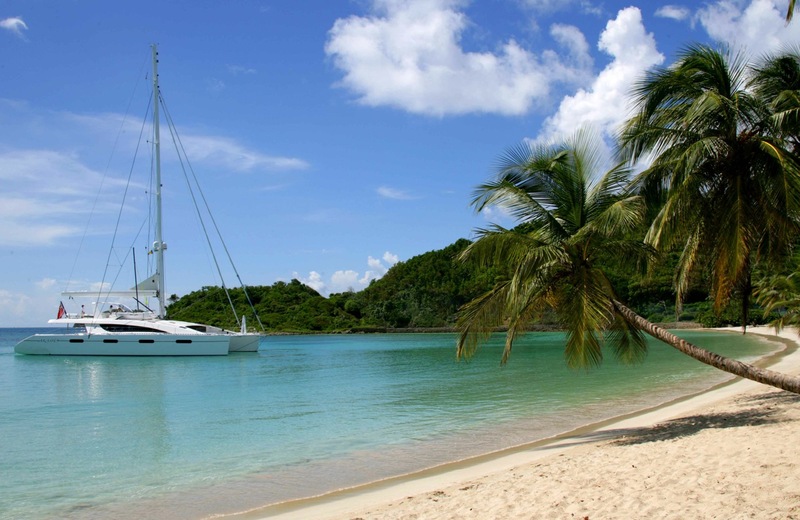 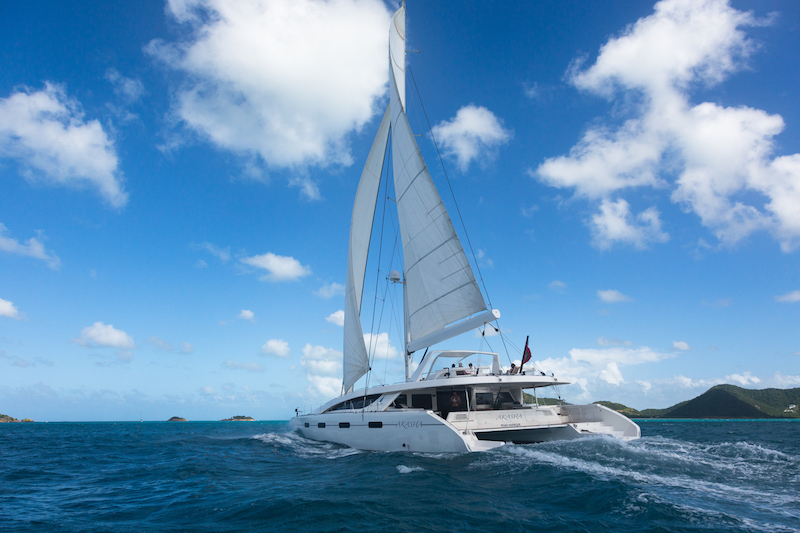 Akasha, meaning infinite space in the ancient language of Sanskrit, is one of the most spacious luxury sailing yachts available for charter in the Caribbean today. 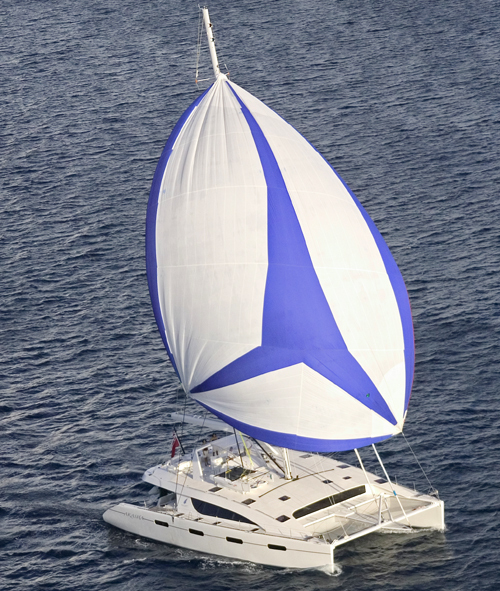 Akasha is fully air-conditioned, and also comes with a Playstation 2 and satellite TV. 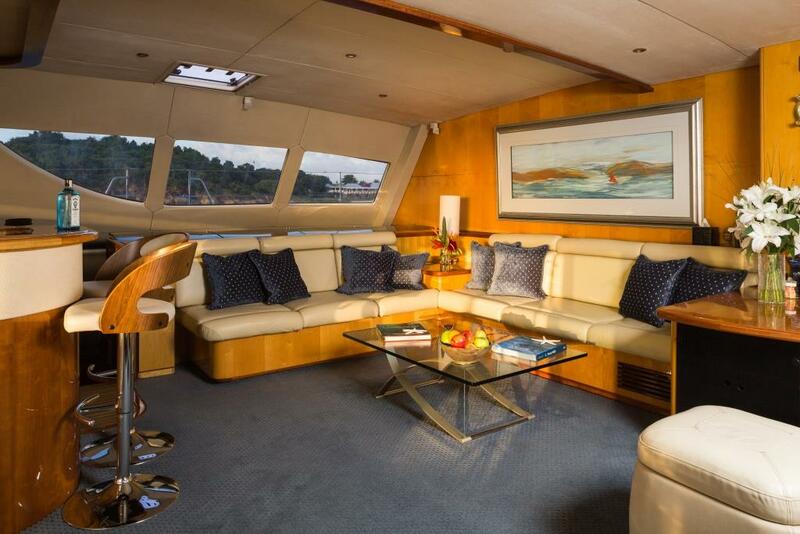 The flybridge has cushioned seating, a sun bathing area & refrigerated bar & 360 degree panoramic views. 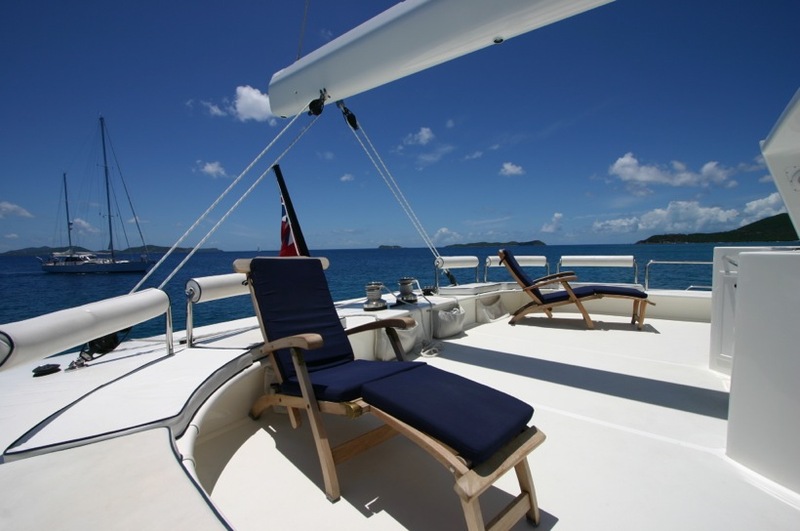 The Catamaran also has a Bose wave entertainment system. 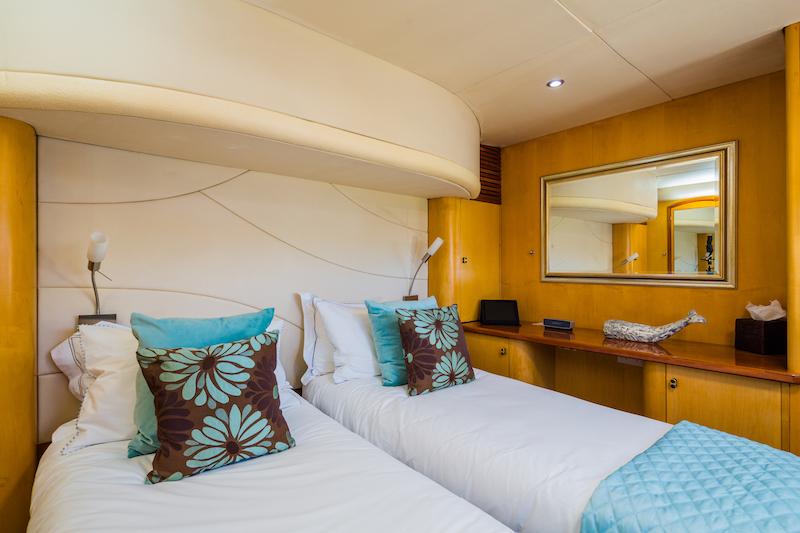 The master suite has a king size bed with a lounge and a Spa Pool. 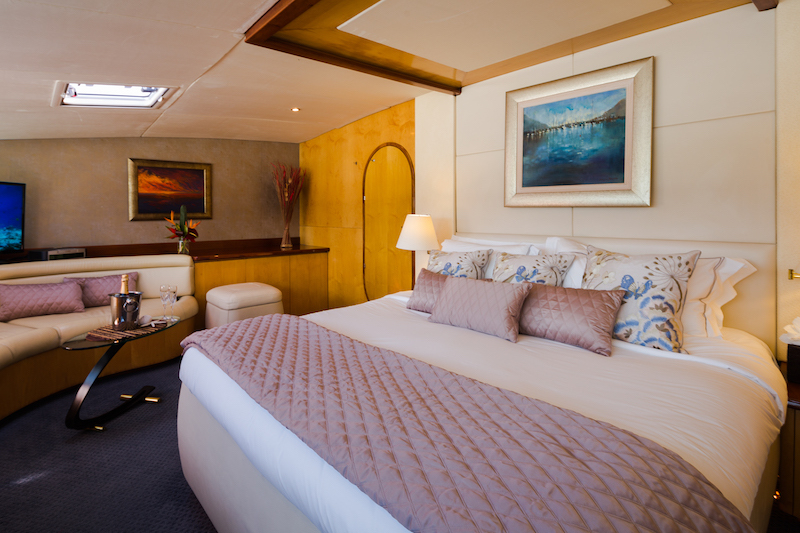 The other four guest staterooms are Queen (one can convert to a twin cabin) and they have private ensuites as well. 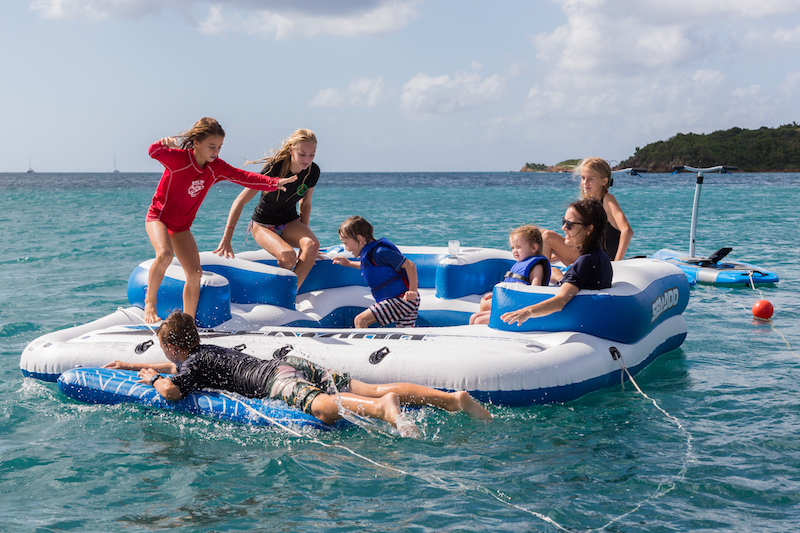 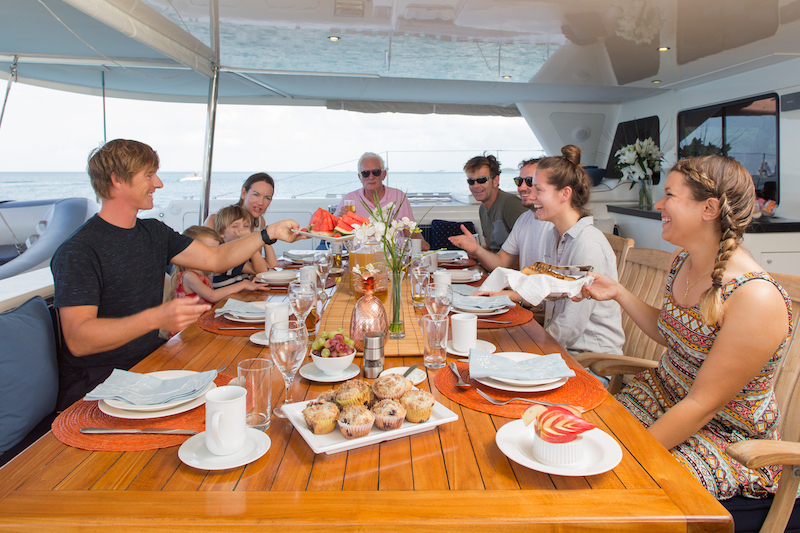 The price is an All Inclusive price which includes four crew, all meals and snacks, standard beverages and use of all watersport toys on board. 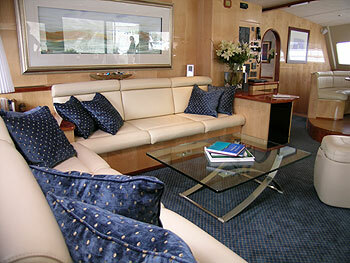 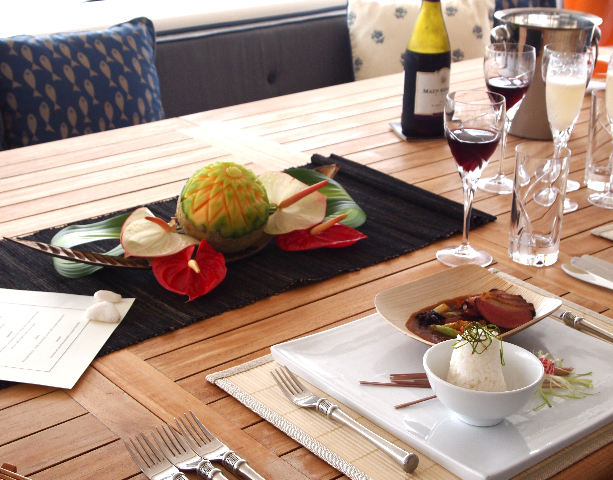 Akasha can comfortably accommodate ten guests in 5 cabins. 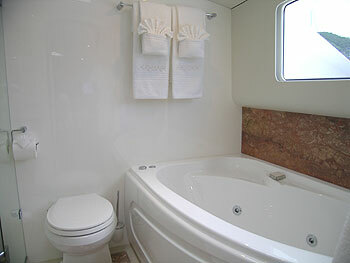 The owner's cabin has a King size bed with a lounge and Spa Pool. 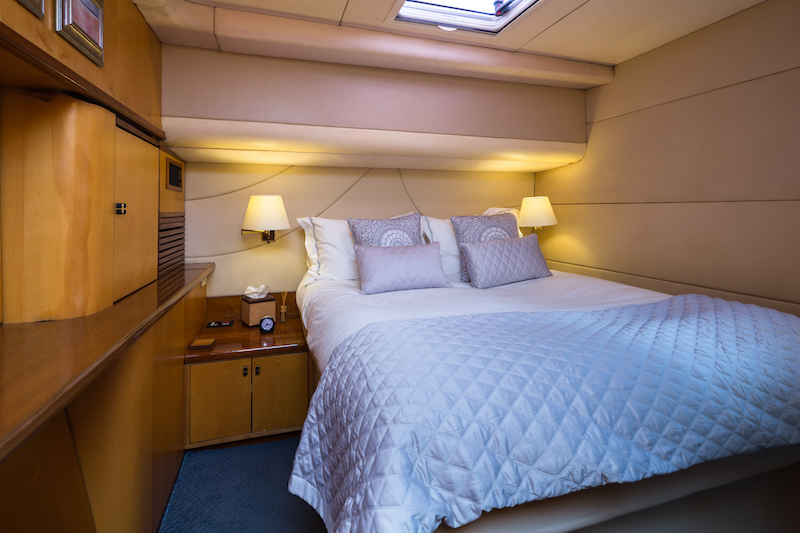 The other four guest staterooms are Queen size with one that can convert into a twin - they also have their own private ensuites. 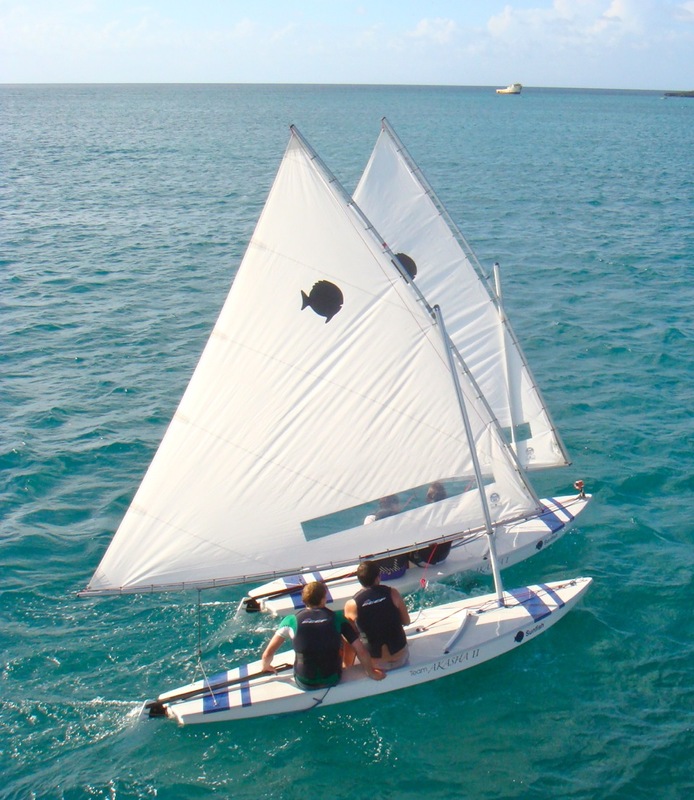 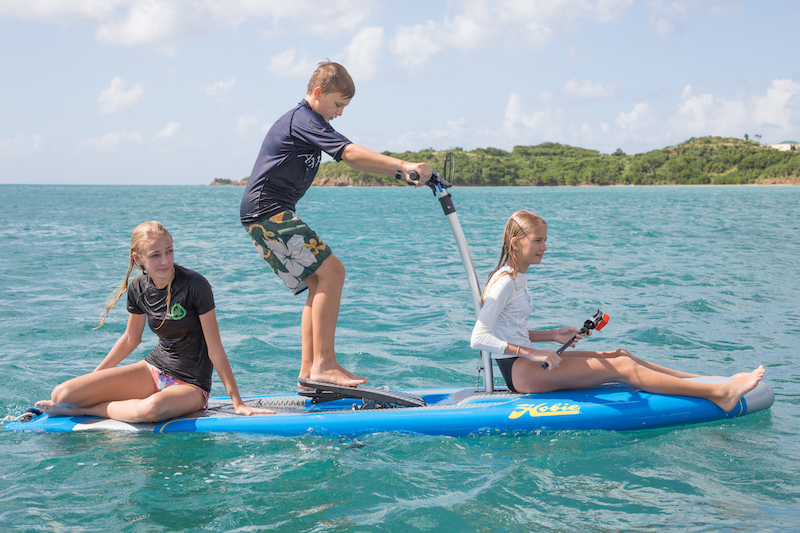 17ft tender with 70 hp outboard 2 Hobie Mirage Eclipse ( Stand up paddle boards) x2 Sunfish sailing dinghies x2 two man kayaks Water-skis Wakeboard Kneeboard Tube Stand up Paddle board Scuba diving centre & equipment for 10 Compressor Snorkeling gear 8 person floating Island . 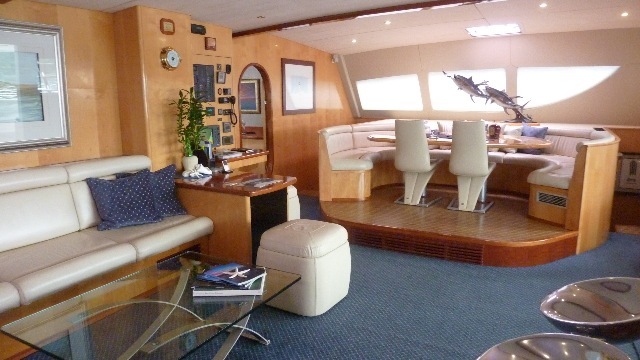 There is air conditioning throughout and a Playstation 2 & satellite TV. 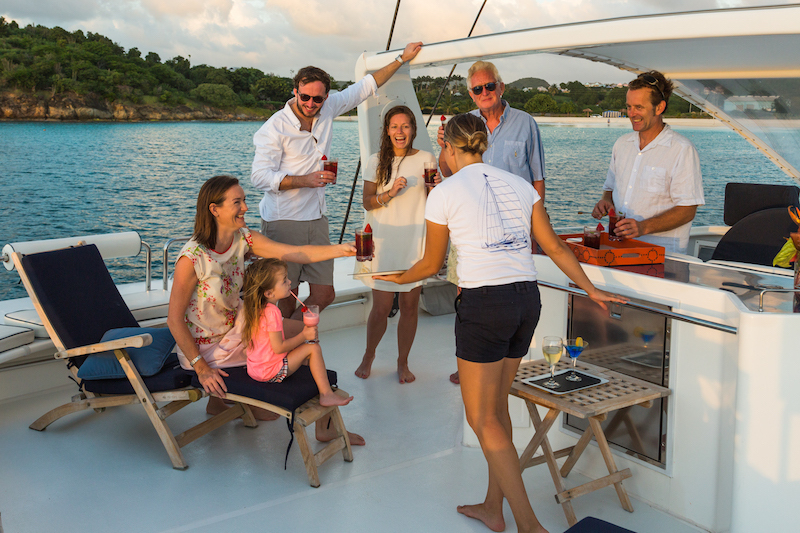 The Flybridge has cushioned seating, sun bathing area & refrigerated bar & 360 degree panoramic views. 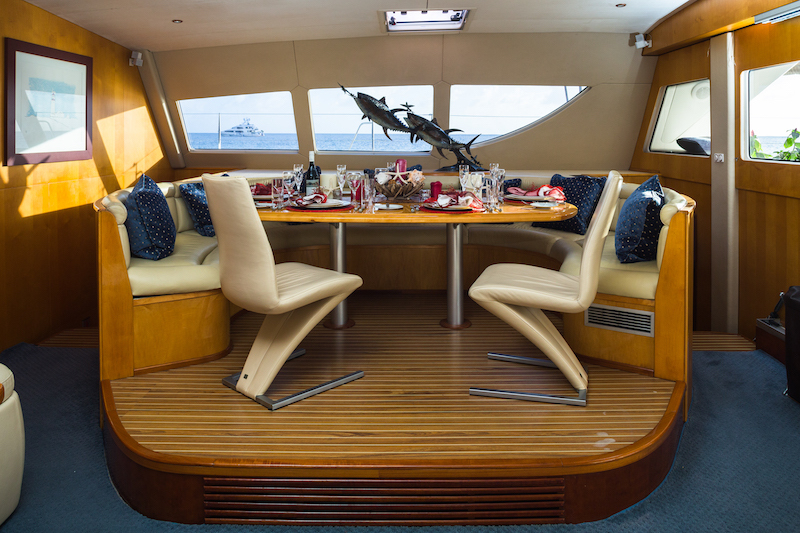 Bose wave entertainment system. 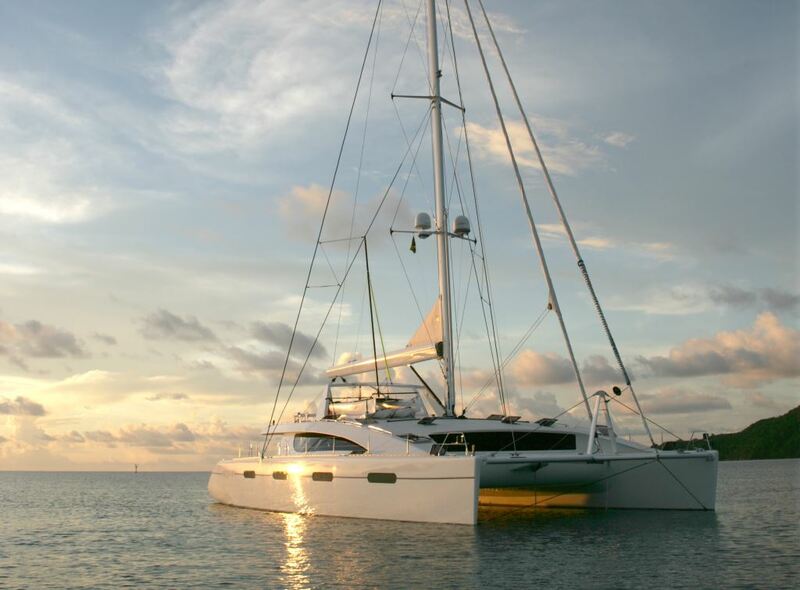 Akasha's stewardess is a qualified Masseuse offering full body swedish massage, & her deckhand is a scuba diving instructor.